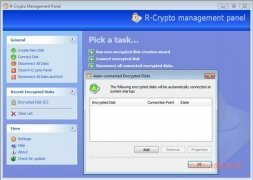 R-Crypto is a useful tool with which you will be able to create a virtual disc that is protected by a password, where you will be able to save information that you want to maintain secure. 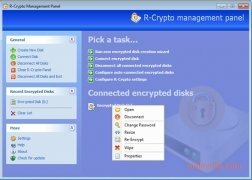 This application creates encrypted discs on your computer or on any external storage device. 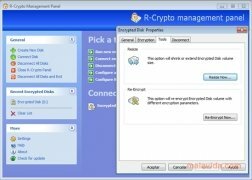 R-Crypto is very easy-to-use, because it clearly indicates the steps that you have to follow at each moment in time. 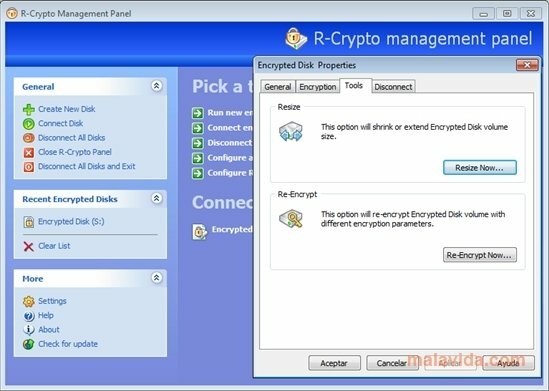 This tool offers you the following options: create a new encrypted disc; connect to that disc and disconnect from all the discs. 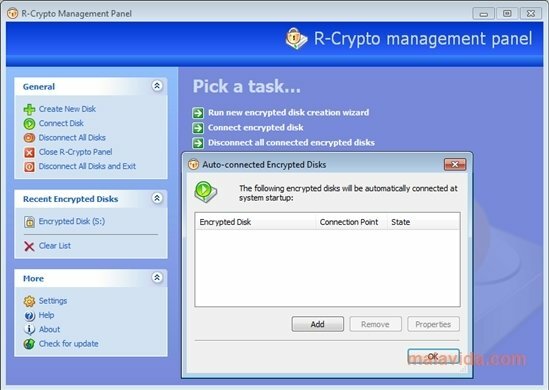 To start using R-Crypto, you will first have to create an encryption disc. 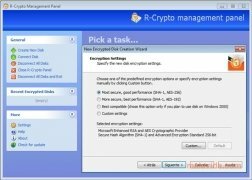 You will be able to choose the place where you want to create the disc, the password with which you will protect the disc and some preset encryption configurations, depending on whether you prefer more or less security with regard to the performance. Once created, all the files that you place on that drive will be protected. You will only be able to access the contents by inputting the password. 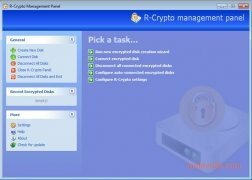 If you want yo have your documents protected, try R-Crypto, and create a virtual disc that is inaccessible without a password. The application is free for personal use and requires a free registry.